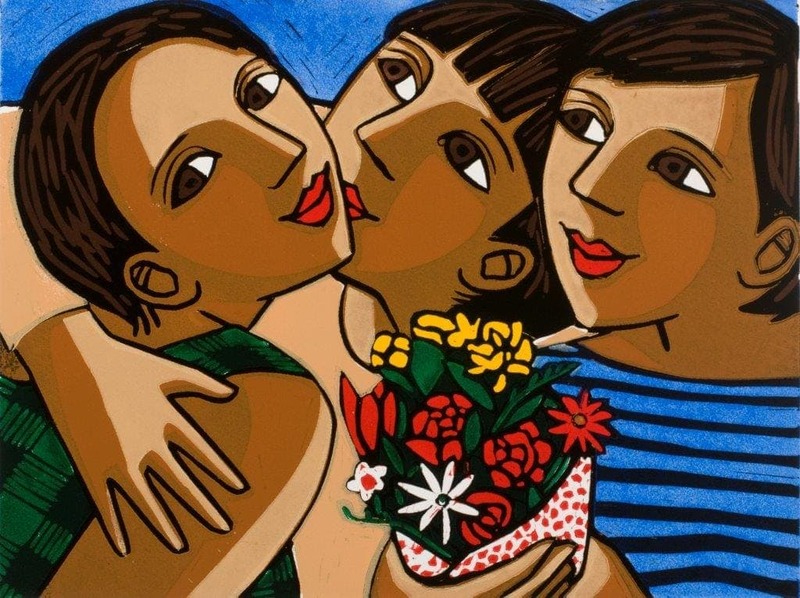 Birthday Flowers is an original lino cut print by London artist Anita Klein. Many of her compositions are autobiographical. This beautiful scene depicts the artist and her two daughters.